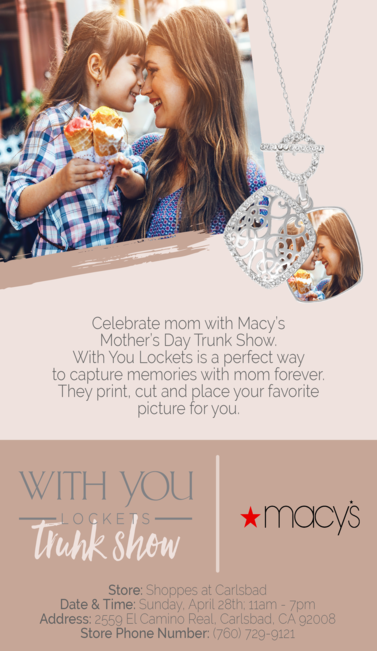 Exclusive fine jewelry lockets from WITH YOU LOCKETS. These make amazing gifts for graduations and Mother’s day gifts. One day only from 11am – 7pm on Sunday April 28th.